Big changes are happening at Discovery Channel. 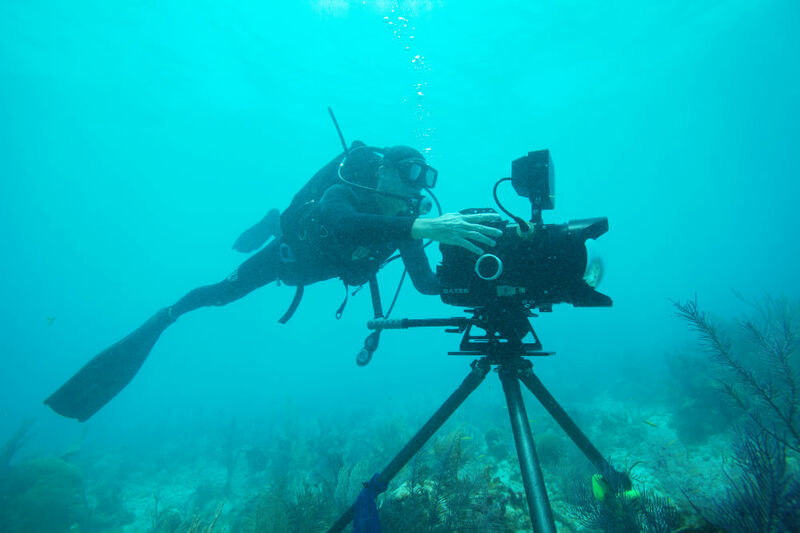 As a place on the dial initially associated with nonfiction, science-centric programming, Discovery has in the last decade shaken off this niche designation and gone on to produce Emmy Award-winning shows like Deadliest Catch, Planet Earth and MythBusters. 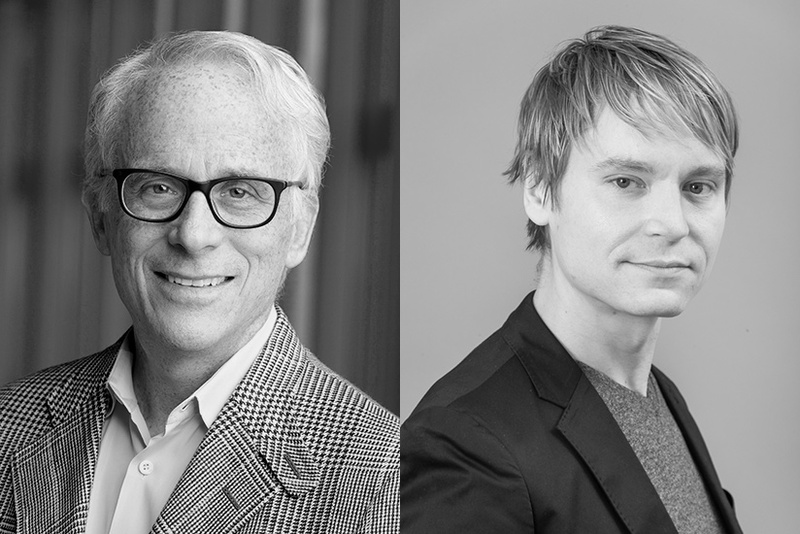 Last year marked another sea change when the channel announced that HBO's John Hoffman and Tribeca Film Institute's Ryan Harrington would come onboard the good ship Discovery to steer it toward yet another, bolder direction. With Hoffman appointed Executive VP of Documentaries and Specials, and Harrington reporting to him as Executive Director of Acquisitions, we were curious what this meant for the future of Discovery's documentary programming. We spoke to Harrington and Hoffman by phone in their New York offices just before the holiday break. You're both heavyweights in the world of nonfiction programming. John, you're coming from premium cable to basic cable; you've also worked in the nonprofit space. Ryan, you're returning again to basic cable after working in the nonprofit space. What are you bringing to Discovery from these past roles, and what are you able to do now that you couldn't do before? JOHN HOFFMAN: It's interesting you point out the basic cable and the premium cable distinction. I just don't live with that distinction in my mind. What I'm hyper-aware of, and it has to do with my experience at HBO, is what it is to work at an entertainment company that's a very strong brand. HBO is one of the strongest-engineered brands that we have. Discovery is just as strong a brand, and it's also much more of an international brand. I was very aware of that when (president) Rich Ross approached me about joining Discovery. That part of my experience is very appropriate—what it means to be "on brand" when looking at films, and understanding how to develop a plan going forward about what documentaries mean to Discovery. There are not a lot of entertainment brands that are as distinct as Discovery. There's Disney, there's HBO, there's Discovery. You don't think of ABC and say, "That's an ABC show if I've ever seen one." It's just not how the culture is oriented. But Discovery is something where you know it when you see it. It has all of the attributes that you want to promote to the viewer, so that they have that powerful connection and stay on the channel. And they come back to it because it really is a brand that they identify with. RYAN HARRINGTON: I agree. A big part of the work that I did when I was at A&E was building a brand within A&E. I was working with their theatrical documentary strand, A&E Indie Films. That allowed me to work with some of the most prolific filmmakers out there—Barbara Kopple, R.J. Cutler, Rachel Grady. That work led me to Tribeca, where I helped build the brand of the Tribeca Film Institute. I was part of the team that set up their entire funding profile, which led me to work with some of the best foundations in the US. Coming to Discovery, I'm here because I'm such a fan of what John did at HBO. His anthology series, and how he married the commercial world with the foundation world—I thought that was really exciting. I feel like coming here gives me the opportunity to marry all of my skills into one. And we're really building something exciting here. Our first film, Racing Extinction, just aired on December 2. Honestly, I didn't know the reach of Discovery when I first started working here. But if you look at the numbers that this film has done, it's obvious we're able to have true impact on projects and storytellers and really deliver these films to an audience. For me it's an opportunity to amplify the work I've been doing for the past 12 years. When he became president of the network last year, Rich Ross said that Discovery is "more narrowly niched than it needs to be." He also said, responding to criticism about pseudo-scientific programming, that telling factual stories that are also entertaining is "mandatory." What does this mean for documentaries? JH: Well, I will be glib for a second. It's a one-word answer: opportunity. I mean, all I see is opportunity for documentaries when you remind me of Rich speaking that way and where he wants to go. We have lived through an era over the past 15 years or so where the perception of documentaries and the culture has shifted dramatically from being something that's "educational" to being something that is a preferred kind of entertainment. You hear all the time, "When I have time, the only thing I really watch is documentaries" [or] "Documentaries are my favorite things to watch." You didn't hear that 20 years ago. There's been an explosion in the availability of documentaries, and also a real blossoming of the storytelling and how people have worked within the form. It has transformed the perception of what a documentary is. So it's not a "good for you" piece of content. It's not "educational" anymore. Rich and the board of Discovery recognize that there needs to be realignment. We need to not only assign some of the hours in the primetime schedule, but also the resources to elevate documentaries again. If Ryan and I can be part of that era of tremendous investment in documentaries at Discovery, lucky us. Discovery is one of several networks growing its investment in documentary. What accounts for all the new interest in docs? JH: I think there have now been enough documentaries—Michael Moore and Morgan Spurlock come to mind—that broke through and really transformed the understanding of what a documentary can mean to an audience: how it can engage an audience, build an audience and make money. I said documentary has changed from being "good for you" and "educational," but you could argue that anybody who is 40 years old or younger might not even have that perception—because they're digging Michael Moore's films, or what Gibney did with Scientology, or The Jinx. You now have generations of people who grew up identifying with documentary filmmakers as cultural icons, and they return to them to see what they're doing next. Also, the attraction of the form to creative people and the availability of the technology, which allows people to work in a way that's affordable—I think all of this has created a different world for nonfiction storytelling. It's shown that documentary can be an area of business, a successful industry supported by agents, distributors and so on. I can remember having lunch with Ted Sarandos maybe 15 years ago, and him talking about how documentaries are one of the most important drivers of Netflix's business. So much of the "red envelope" nature of their business was directed at the heartland, where these films never were shown, and there was a substantial audience that wanted to see them. Documentaries were a leader for Netflix in terms of building their brand. They're very, very good brand-builders. I think it's all adding up to a bigger, more robust market with better funded films. Documentary will continue to become a bigger and better sector of entertainment. RH: And that means, for filmmakers, there are so many opportunities out there now—hopefully, opportunities that will give filmmakers a chance to have sustainable careers in this field, which I know is a bit broken and has been broken. It means that now, every film has a different path; not every film has to premiere at a festival. There are so many opportunities available for films. They could have a lasting life and impact from digital releases; they don't have to be just seen in the theater anymore. I think that's what's so exciting about all of these new players in the field now. Rich Ross has said that he wants Discovery content to impact people to do something. What counts as impact? How do you measure it? JH: That's one of the most important questions because if we are going to invest in content that is elevating the public's understanding of the serious ways in which we're compromising the environment, for example – and if we're also making them aware of solutions to these problems – then we've got to be engaging people, building a relationship with them and sustaining that relationship. It's really about sustaining engagement if you are going to have meaningful impact. What can entertainment do? It can surely change people's knowledge and awareness. You watch the program, you know more at the end. But changing someone's attitude about something, changing someone's values—that's a heavy lift. That takes repeated exposure to messages and stimuli around an issue. To change someone's behavior is very, very hard on all levels, whether it's the way we eat or reducing our risk for disease. We have to make sure that the world understands how serious these problems are. We have to use all of the means available to us in order to get the word out and develop a relationship with people so that they're impacted by the message. Ryan and I are part of a team that was brought in because we know how to work within entertainment companies to position documentaries for success. Success is measured in a number of different ways. The fact that Racing Extinction rated is a huge relief, because that showed that documentaries can rate, for one. The fact that it got as much press as it did, that's also measured as success. That it generated as much social media as it did, that's another measurement of success. But the questions about impact are going to come maybe two years from now. People will ask, "Is there any data, any way that you can show that you actually had any kind of measurable impact on people's behavior?" I would love to be able to do a study like that. Given your mandate, what new kinds of stories can we expect? JH: When I started here I was handed a collection of research that the company's done over the years about what Discovery means to people in the US and around the world. It's very clear when you look at these market evaluations that when people think of Discovery, they think of adventure, exploration, scientific inquiry and technology, and they think of the natural world and series like Planet Earth or North America. If there's something that I felt needed to be added to that collection of great topics, it's a focus on the environment. Stories about the environment is an area we're investing in heavily, and we want to get the word out to the creative community that this is an area [where] we want to be the unquestioned leader. More than anything, that's the reason Ryan is here—because of his reputation, his popularity amongst filmmakers, his deep knowledge of the filmmakers who are doing some of the best work. And because of his work—knowing a lot of new storytellers and scouring the world for some of the best films about the environment. The Sundance Film Festival is coming up. I know you'll both be in attendance. What do you hope to see? JH: We are always on the market for films that address our core content areas and now, especially, the environment. That's what we'll be looking for at Sundance and other festivals this year. We're also in charge of documentaries on Animal Planet and Science, and we're developing our strategies for those platforms. Those are smaller networks, but they're also strong brands. I really hope we see films that, like Racing Extinction, have the potential to be brand-defining. Everything about that film was a home-run buy for us. I'm looking for films that, in one package, can do the same thing for Animal Planet or for Science. I want to be able to say, "That's a bullseye." RH: Also, for us, just meeting filmmakers and having conversations—Sundance is very much the beginnings of conversations for us with many filmmakers. Our doors are open for ideas [and] concepts. If filmmakers see an article in a magazine or a newspaper and get a great idea, we want to be one of the places filmmakers [can] come to when they have ideas and concepts. JH: Ryan, we want to be the first place. RH: The first place! I stand corrected. The first place.